Confession of the day: I still haven't read an Austen novel in my life but over the other weekend, I was onto my second film adaptation of Mansfield Park. You may recall that I didn't like the 2007 one very much. The 1999 adaptation of the novel by Jane Austen, however, made me find its charm. I understand that it actually takes more liberties when portraying the characters, but it may be these liberties that make me want to care for them and continue watching. 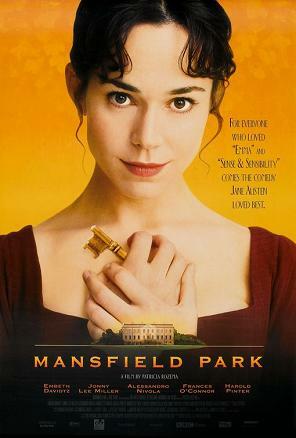 The 1999 Mansfield Park seems like a more mature version, certainly with some dark undertones: The poverty of Fanny's family and her relatives' relation to slavery to name two. It is these undertones that made the characters multidimensional. This Fanny is witty, loyal and passionate - and clearly in love with Edmund (and vice versa) all along. It was one of my biggest quibbles with the 2007 version, that I just couldn't see in the portrayal why any of the characters cared for anyone else. 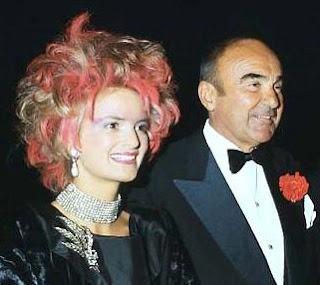 In contrast, the characters in the 1999 version certainly do have a connection: You can sense the underlying tension between Fanny and Edmund throughout the film for starters and you see the motives on why not just these two act the way the do. All in all, the much more recommended version!